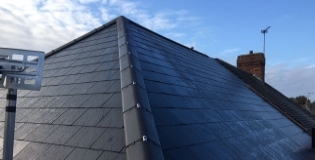 Trent Roofing is a family-run business specialising in roof repair in the Nottingham and Derby areas. We take pride in offering a professional and affordable service with a friendly and trustworthy team of fully trained staff. You will find our prices very competitive so please talk to us about your requirements and ask for a free quotation with no obligation to take it any further. 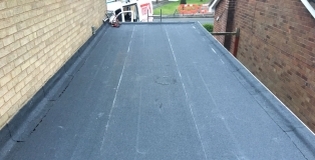 All aspects of roofing works undertaken, no job is too small. From a broken tile, to a brand new roof. 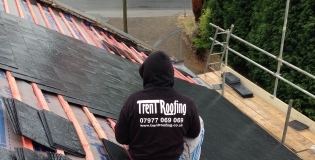 Whether you're in need of general maintenance and repairs a complete roof refurbishment or speedy assistance in a storm, you can trust the fully-qualified team at Trent Roofing in Nottingham and Derby to consistently deliver great results across the Midlands. At Trent Roofing, we take an immense amount of pride in every project we complete, and use 18 years of experience to bring you the perfect combination of high end workmanship and competitive prices. Click below to see some of our work. Every successful roofing project starts with a meticulous site visit and detailed quote - all free of charge. We'll always look for ways to save you money whilst keeping the standard of work the same - contact our team in Nottingham and Derby to set up an appointment.